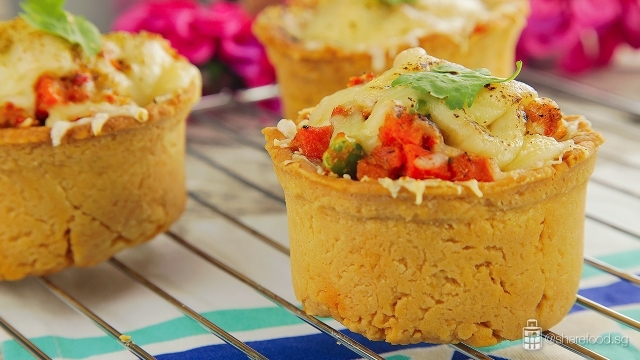 Take a bite of this delicious buttery crust pie with hot spicy tom yum chicken filling and grated cheese on top. 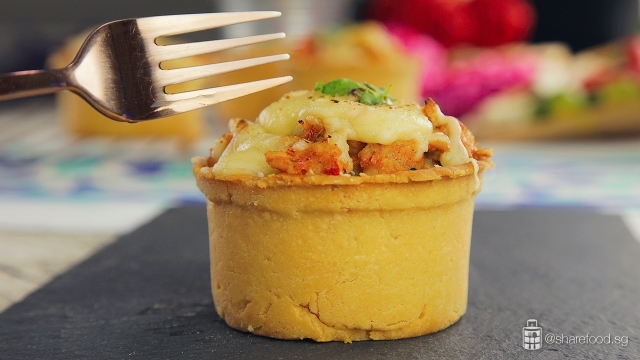 A new twist on an old favourite classic chicken pie. This easy-as-pie recipe will give you incredibly delicious buttery crust and succulent tender chicken filling every time. One of the best pie in your life for absolutely minimal effort. To get started you'll need to make the puff pastry for the pie crust. 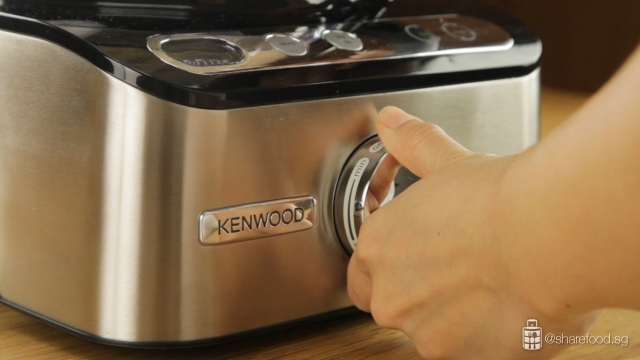 Make this process even faster by using a Kenwood kFlex. We simply place flour and salt into the clear processor, use a spatula to give it a good mix. Next add in butter and pulse twice till the butter breaks. Add in water and blitz at low speed till it becomes crumbly. Add in butter into the Kenwood kFlex processor and pulse twice till the butter breaks. Add in water and blitz at low speed till it becomes crumbly. Dust your countertop and place dough over it. 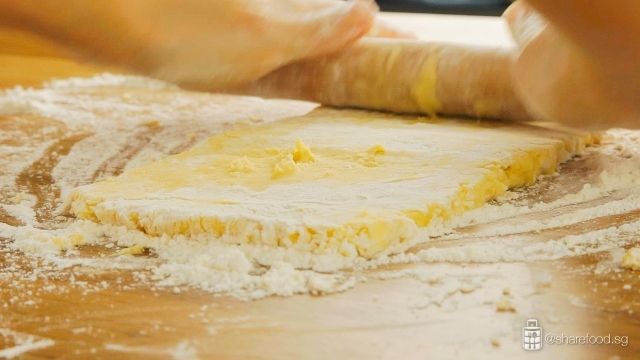 Pat it into a rough square and use a rolling pin to roll out the dough. Fold the dough and repeat steps 6 times. Wrap the dough in a cling wrap and chill for at least 2 hours. at it into a rough square and use a rolling pin to roll out the dough. Roll the puff pastry and fit into the ramekin. Line the dough with baking paper and pour in rice to prevent the pastry from puffing when it is baked. Roll the puff pastry and fit into the ramekin. Next the aromatic and flavourful tom yum paste. Use the same Kenwood kFlex and switch the processor to the blender. 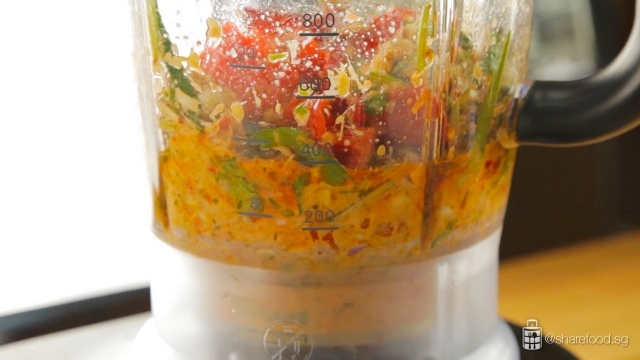 Place all the ingredients into the blender and blitz until it forms a smooth paste. 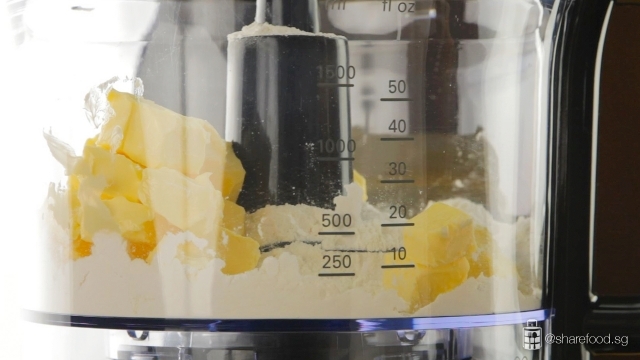 Switch the Kenwood processor to the blender and blitz the ingredients to a smooth paste. 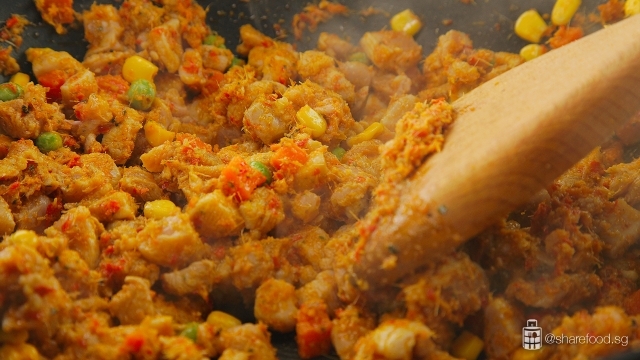 This amazing tom yum chicken filling is almost too easy to prepare. In a frying pan, add in tom yum paste and fry till the colour darkens and oil seeps out. Add in the chicken and mixed vegetables. Fry until the chicken is fully cooked. Fry until the chicken in the tom yum paste till it is fully cooked. Now it's time to put these awesome ingredients together. 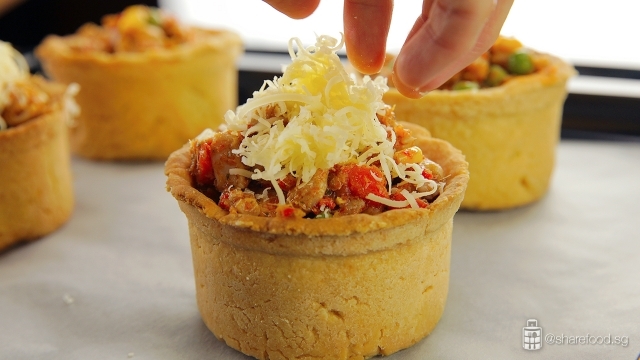 Fill the puff pastry generously with tom yum chicken filling and top it with grated cheddar cheese. Bake for 12 minutes at 170 degrees. 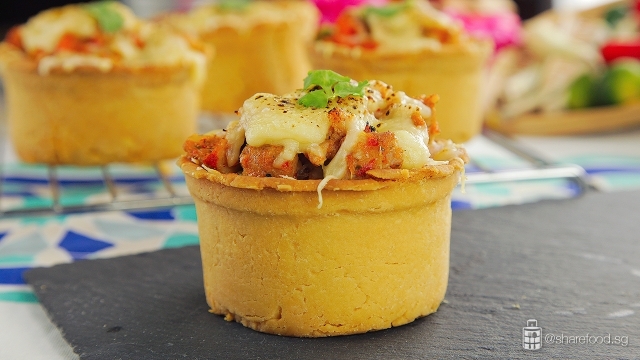 Fill the puff pastry with the delicious tom yum chicken filling. Top it off with grated cheddar cheese and transfer it to an oven to bake. Get ready to take in all the compliments! Your friends and family will love having their own individual Tom Yum Chicken pie with that delicious buttery crust and fragrant filling. 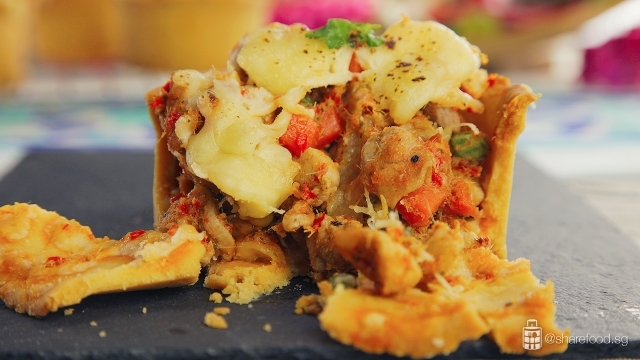 The aromatic flavours of the tom yum chicken filling embedded in this crusty pastry would make you so hooked. 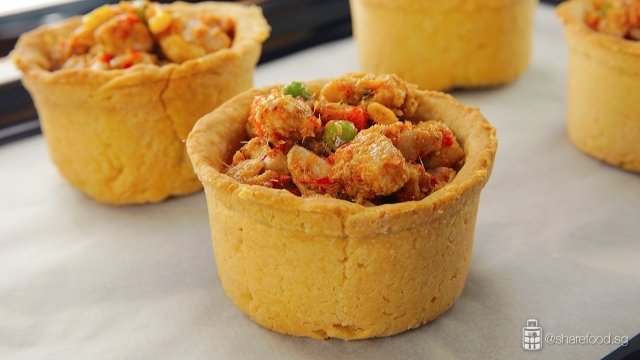 Delicious buttery crust with fragrant Tom Yum chicken filling. 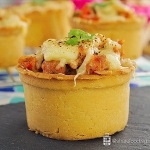 Chunky tender chicken cooked in a blend of homemade tom yum paste and encased in a buttery pastry topped with grated cheddar cheese. 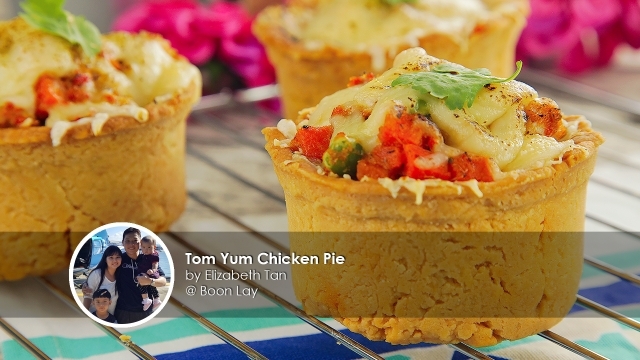 This delicious Tom Yum Chicken Pie Recipe is shared by home cook Elizabeth Tan. A new twist on an old favourite classic chicken pie. Dust the worktop generously with flour and place dough over it. Pat it into a rough square. Here's a tip, when you see chunks of butter or if the dough seems too dry, do not add extra water. The dough will come together with each roll. Bake for 10 – 12 min at 170 degree Celsius till the cheese bubbles. Best to be served immediately!